Congratulations to Sheila L. Panzella for 15 years of Exceptional Service! DO YOU KNOW JAMES BYRNE? 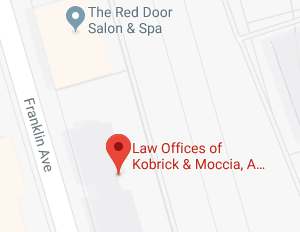 The Law Offices of Saul Kobrick, P.C. Thinks He is Worth Knowing! What Is an Advanced Directive – and Do I Need One? New York Times Focuses on Broken Legal Guardian System in U.S.
What Happens If Someone Objects to a New York Guardianship Petition? Elder Law: Are You Aware Of All Your Options? Long Term Care: How Will You Address The Costs? Medicaid: Is It In The Cross-Hairs? Should We Be Overjoyed By Estate Tax Changes? What Can A Probate Lawyer Do For You? Elder Law: What Are the Duties of a Guardian? What Happens If There Is Not Enough Cash in Your Estate to Pay Creditors? Do I Have Enough Estate Liquidity? What Will Happen to Aretha Franklin’s $80 Million Estate Since She Died without a Will? How Can You Help Your Estate Planning Lawyers? When Should I Begin Inheritance Planning? Will the Government Take My Home If I Qualify for Medicaid? When Should I Start Special Needs Planning? What Happens to an Intestate Estate in New York? Why Must My Trust Include a Crummey Power? Do Estate Planning Lawyers Help with Incapacity Planning? Under a Power of Attorney Can An Agent Make a Gift in Your Name in New York? Estate Planning — What Components Should Be in Your Estate Plan? Do My Assets Get a Step Up in Basis If They Are in My Trust When I Die? Is It a Good Idea for My Parents to Give Me Their Home? If I Transfer Real Estate into a Trust Can the Bank Call My Loan? What Do You Do after Being Appointed Personal Representative? How Can You Ensure Your Assets Remain in the Family after You Are Gone? What Events Should Cause an Estate Plan Revision? Sure Your Estate Plan is Current? Should I Give It Away Now? Where Did the Check Go? Estate Planning: Where Do You Begin? Did Debt Deal Impact Estate Planning? Is Estate Tax Only Imposed On The Wealthy? Probate Avoidance: What's My Motivation? Is Your Home Exposing You To The Estate Tax? How Does “Unified” Estate and Gift Tax Work? Is A Pour-Over Will Necessary? Estate Planning: What Do You Do First? When Is An Estate Plan Necessary? Should 2010 Estate Tax Repeal Become Permanent? Welcome to the Blog of The Law Offices of Saul Kobrick, P.C. Will I Need to Pay New York Estate Tax? What Is Involved in Inheritance Tax Planning? How Can Estate Taxes Diminish the Value of Your Estate? Does New York Impose Estate Taxes? Is Your Parent at Risk of Falling Prey to a "Granny Scammer?" Can I Get Medicaid to Help Me at Home in New York? Why Execute Durable Powers Of Attorney? Do I Qualify for Medicaid as a Senior? What Happens to the Assets in Your Medicaid Trust If You Die Without Ever Needing Medicaid? Can a Long Island Medicaid Attorney Help Me If I Need to Qualify for Benefits Immediately? Medicaid Is Only for the Poor Right? Why Medicaid Planning Should Be Part of Your Estate Plan? Assets as Gifts for Medicaid Qualification? What is Nomination of a Guardian in New York? Can a Long Island Estate Planning Lawyer Help Protect My Pet? Can a Long Island Estate Planning Attorney Help Me Protect My Pets? Does a Power of Attorney Permit Me to Make Gifts to Myself? Are There Disadvantages to a Power of Attorney in Garden City NY? Can a Probate Lawyer Help Me If I Am the Executor? How Long Does the Long Island Probate Process Take? How Long Will It Take to Get My Inheritance? Does Executing a Last Will and Testament Mean My Estate Won’t Have to Go Through Probate? How Are Debts of the Decedent Handled? I Just Found Out I Am the Executor of My Deceased Uncle’s Estate. What Do I Do Now? What is Probate in New York and is it Necessary? Is Working After Retirement Right For You? Do I Have to Pay a New York Inheritance Tax If My Parents Leave Me Their House? Can I Be the Trustee of My Asset Protection Trust? Do I Need a Nassau County Living Trust? Where Do I Begin Creating a Trust? When Is a Testamentary Trust the Best Choice? Why Would You Need a Medicaid Trust? When Is a Testamentary Trust the Best Option? Who Benefits from a Living Trust? Can Revocable Trusts Help me with Asset Protection? What Assets Can Be Used to Fund a Trust? When Is a Special Needs Trust Needed? What Happens If Someone Contests Your Mother’s Will? Will a No-Contest Clause Prevent a Will Contest? What Will Happen to Whitney’s Estate Following the Death of Bobbi Kristina? What Is a Self-Proving Will in New York? Who Sees Your Will After You Die? Will vs. Trust: Which One Do You Need?